Thyroid cancers (TCs) are the most frequent endocrine malignancy with an unpredictable fast-growing incidence, especially in females all over the world. Fine-needle aspiration biopsy (FNAB) analysis is an accurate diagnostic method for detecting thyroid nodules and classification of TC. Though simplicity, safety, and accuracy of FNAB, 15–30% of cases are indeterminate, and it is not possible to determine the exact cytology of the specimen. This demands the need for innovative methods capable to find crucial biomarkers with adequate sensitivity for diagnosis and prediction in TC researches. Cancer-based metabolomics is a vast emerging field focused on the detection of a large set of metabolites extracted from biofluids or tissues. Using analytical chemistry procedures allows for the potential recognition of cancer-based metabolites for the purposes of advancing the era of personalized medicine. Nuclear magnetic resonance (NMR) spectroscopy and mass spectrometry (MS) coupled with separation techniques e.g., gas chromatography (GC) and liquid chromatography (LC) are the main approaches for metabolic studies in cancers. 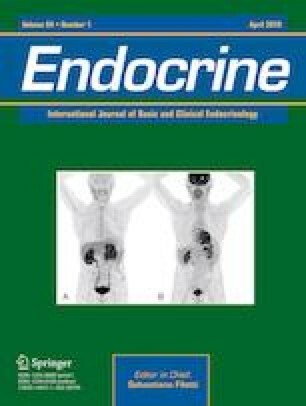 The immense metabolite profiling has provided a chance to discover novel biomarkers for early detection of thyroid cancer and reduce unnecessary aggressive surgery. In this review, we recapitulate the recent advances and developed methods of diverse metabolomics tools and metabolic phenotypes of thyroid cancer, following a brief discussion of recent challenges in the thyroid cancer diagnosis. This study is supported by a research grant from Endocrine Research Center, Shahid Beheshti University of Medical Sciences. The authors are grateful to Dr. S. Adeleh Razavi, Cellular and Molecular Endocrine Research Center (CMERC), Research Institute for Endocrine Sciences, Shahid Beheshti University of Medical Sciences, for critically reading the manuscript. The authors also would like to thank a graphic designer, Alireza Gerami, for his kind cooperation. This article does not contain any studies with human participants or animal performed by any of the authors.